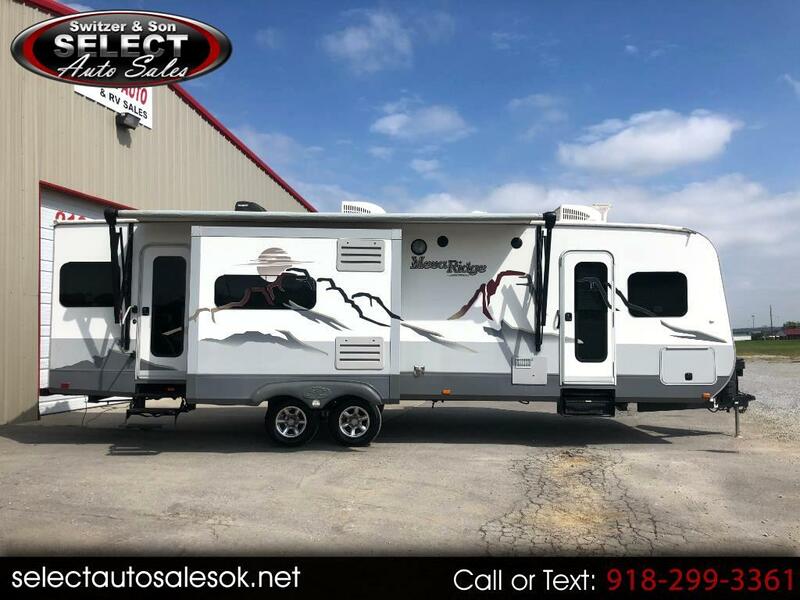 Here is a 2014 Open Range Mesa Ridge 291RLS Travel Trailer. This unit is in excellent condition inside and out. Everything works as it should. This unit has 3-Slide outs and is a 4-Season unit. Here is a list of some of the options on this unit. 2-Ducted Roof Top Air Conditioners, Ducted Heat, Power Awning, Large Double Door Refrigerator, 3-Burner Stove with Oven, Microwave, 6-Gallon Gas/Electric Hot Water Heater, Sleeps 4, Alloy Wheels, Corner Shower with Glass Enclosure, Power Tongue Jack, Island Kitchen, Stabilizer Jacks, Dual Entry door and so much more. Message: Thought you might be interested in this 2014 Open Range RV Mesa Ridge.